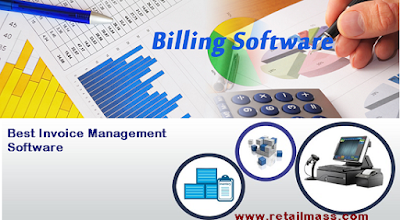 Retail Mass is a one of a kind application that is designed to make the management of multiple retail outlets just as easy as managing a single one. Highly flexible, it adapts itself to the unique requirements of businesses of all shapes and sizes. It supports both online as well as offline accessibility and comes with an impressive set of features that drives efficiency into your business and makes running it, an easy and effortless task. Organize your inventory, improve productivity and retain customers, all through Retail Mass – your one stop retail solution that gives you everything you need to modernize, control and grow your business.  Developed after extensiveexperience and knowledge within retail industry.  Implemented using cutting edge technology.  Adapts to all industry requirements.  Cloud based and offline support.  Access from anywhere functionality.  Intuitive UI with minimal learning curve.  Easy to understand features.  Customizable themes and fonts.  Search tools to find parameters.  User provided barcode settings.  User selectable print formats.  Easy import of data.  Easy to understand reporting tool.  Overall and in-depth data selectable.  User selected report scheduling.  Developed using Java technology and MySQL.  Handles high volume of data with ease.  SMS Alerts and notifications when needed.  Customer identification based on number.